Watch as Senator Chambliss tries to embrace President Bush, President-Elect Obama and his entire redneck family! The Premiere Episode of Season 2!!!! Clark and Hale are back! Today’s episode includes an ELECTION NIGHT PARTY, Hale’s experience at the polls, free starbucks, and OBAMA’S VICTORY!!! Episode 7: THE SEASON FINALE!!!!! Clark and Hale are back in DC making bold election predictions, discussing the No on Proposition 8 Marriage Contest, and previewing Hale’s new ad campaign for Dusch Das German Shower Gel. 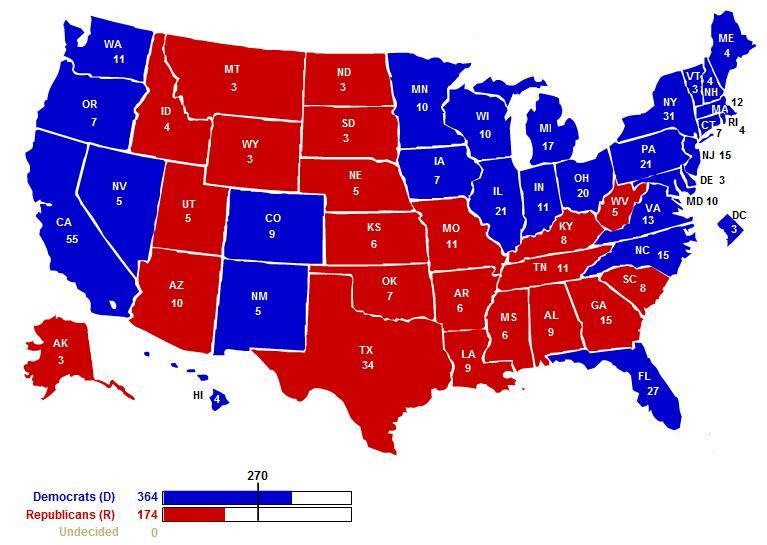 TheDailyStruggle.com Political Analysis Team has been slaving away over election polling data for months and has finally released the The Daily Struggle Electoral College Prediction Map. The Political Analysis Team has predicted a win for Barack Obama who is coincidentally the very candidate that TheDailyStruggle.com is endorsing. Our Political Analysis Team has been releasing Electoral College Prediction Maps before every presidential election since 1892 when they accurately predicted Grover Cleveland’s victory over Benjamin Harrison. Nearly every one of our Team’s presidential predictions have come true with one notable exception: In 1924 our Team predicted a landslide victory for Socialist Party candidate Robert M. LaFollette when in reality the presidency went to Republican Calvin Coolidge. Clark and Hale recap their crazy trip to Rehoboth Beach: stolen tequila, a giant man at a circuit party, politcal commentary, and dwarf wrestling. Hale and Clark go on a road trip to Rehoboth Beach.